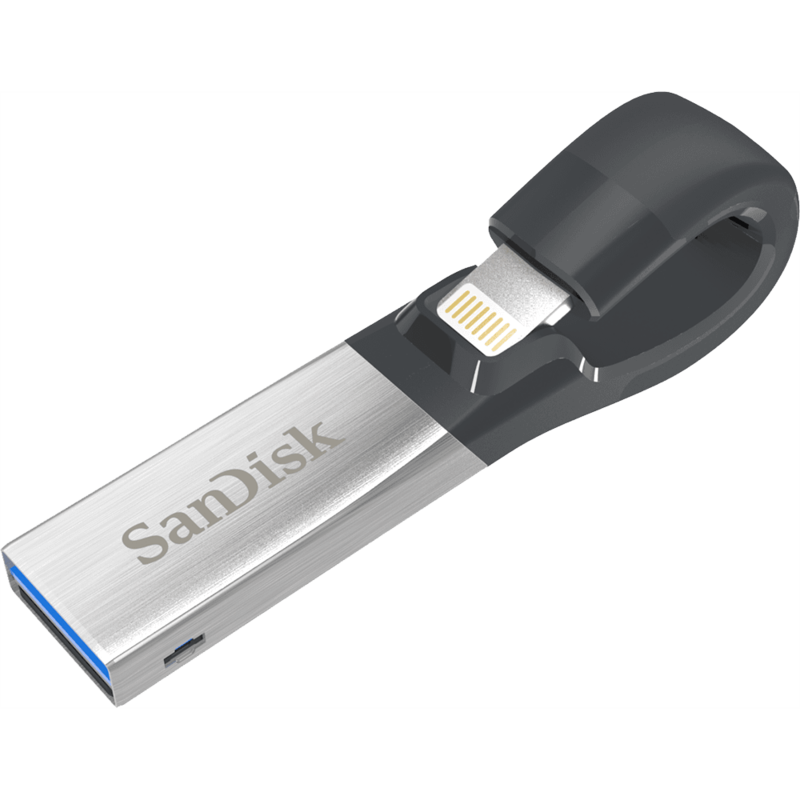 MILPITAS, Calif., April 21, 2016 – SanDisk Corporation (NASDAQ: SNDK), a global leader in flash storage solutions, today launched the next-generation iXpand Flash Drive, a mobile storage device designed to help people quickly and easily free up space on their iPhone and iPad with up to 128GB of additional capacity1. The iXpand Flash Drive features a new, modern design that fits with most iPhone and iPad cases, a USB 3.0 connector for faster transfer speeds to Mac or PCs, and a completely redesigned app to easily manage photos, videos and music. SanDisk Corporation (NASDAQ: SNDK), a Fortune 500 and S&P 500 company, is a global leader in flash storage solutions. For more than 27 years, SanDisk has expanded the possibilities of storage, providing trusted and innovative products that have transformed the electronics industry. Today, SanDisk’s quality, state-of-the-art solutions are at the heart of many of the world’s largest data centers, and embedded in advanced smartphones, tablets and PCs. SanDisk’s consumer products are available at hundreds of thousands of retail stores worldwide.